For the past few days, foursquare has been teasing us with some screenshots along with some cryptic tweets, using the hashtag #allnew4sq. This of course means that the company is planning to drop a new version of its app on us very soon. The tweet says “this week”, but I have to believe that a new version won’t be pushed on the weekend, which is a technology no-no, so lets call it next week. What these tweets tell us is that foursquare is taking all of the data that it has collected from its over 2 billion check-ins and 20M+ users since launching in March 2009 at South By Southwest. Since then, the company has been crowdsourcing tips and information for venues in the biggest cities in the world. Other than going by the tweets, which share scenarios of foursquare data actually helping you make decisions, its move to create an “Explore” section shows us that the company has built a very unique social graph, a massive database of venues and a huge amount of tips about where the best places to go are. It looks like Google has been watching the company’s moves, because it recently blew up its Google Place pages with what it calls Google+ Local. Both offerings seem to leave Yelp in the dust, which had been the de-facto service for people who wanted the best recommendations on where to eat or venues to go to in their area. If foursquare’s new version actually digs down into making recommendations based on where you are, what you like, and what time of day it is, it’s going to be a huge upgrade. 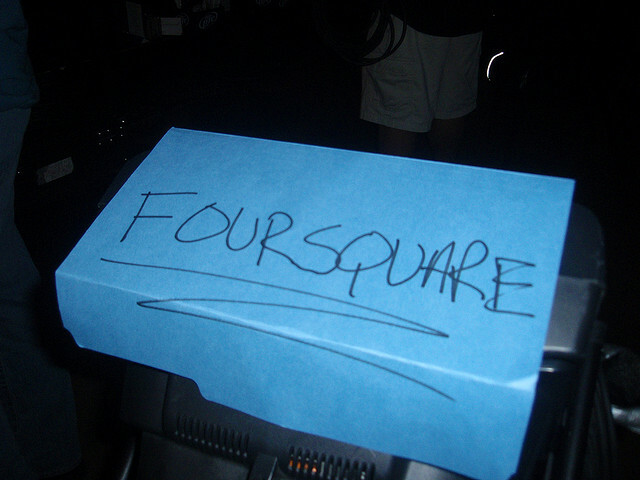 What else does foursquare have up its sleeve? We’ll have to wait until next week to find out, but I’d venture a guess that it’s going to blow our minds. Foursquare isn’t a check-in service / game anymore, it’s a business with massive potential.